Manchester United, unbeaten in the league this season, mounted an impressive second-half comeback to beat Blackpool 3-2 and go five points clear of Arsenal at the top of the Premier League. Blackpool were so impressive in the first half and led 2-0 at half-time ads they scored off two Charlie Adam corners. The first was headed in by former United youngster Craig Cathcart in the 15th minute and the second by DJ Campbell after 43 minutes. Blackpool totally outplayed the league leader who were lucky to be only two down ay half-time. 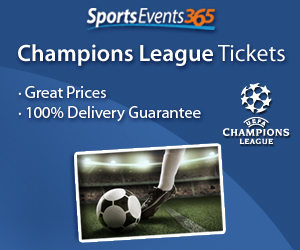 The second half was a different story though as Manchester United showed why they are favourites to win the title again this year. 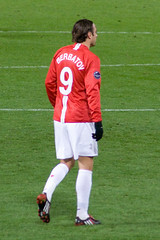 Dimitar Berbatov bundled in Darren Fletcher’s cross from close range on 72 minutes and substitute Javier Hernández finished clinically soon after to level matters. Berbatov completed the turnaround two minutes from time with his 19th league goal this term. In the other Premier League game, Aston Villa won 2-1 at Wigan as Gabriel Agbonlahor scored in the 50th minute and Ashley Young converted a penalty kick in the 61st. James McCarthy had an 80th-minute goal for the host. Villa moved six points above the relegation zone and has won consecutive league matches for the first time this season, after beating Manchester City last weekend.